John Lee Dumas is proud to be a speaker for the online Authentic Business Success Summit for charity! 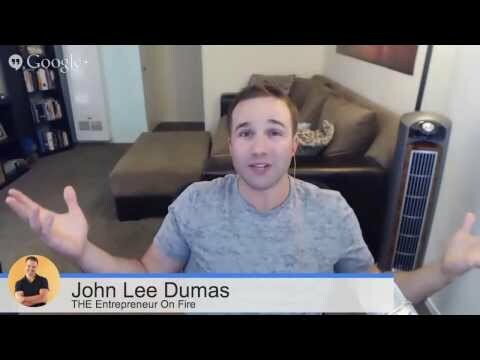 John Lee Dumas is the Founder and Host of EntrepreneurOnFire, a top ranked business podcast that interviews today’s most inspiring and successful Entrepreneurs 7-days a week. John has been featured in both TIME Magazine and Inc., and is the founder of Podcasters’ Paradise; a community where Podcasters can create, grow, and monetize their podcast. EntrepreneurOnFire generates over 450,000 unique downloads a month with past guests such as Seth Godin, Tim Ferriss, Barbara Corcoran, Gary Vaynerchuk, and Guy Kawasaki. John believes in complete transparency, and you can find EntrepreneurOnFire’s monthly income reports at EOFire.com/Income. All is revealed here, including how EntrepreneurOnFire became a six-figure business in less than six months from launch. Recaps of the 400+ episodes and MUCH more can be found at EOFire.com, and when you visit, make sure you are prepared to IGNITE! How to Grow a Massive Audience…and Monetize…with Podcasting! Want to get your brand out to 145 countries? Get crystal clear about how to launch and grow your own podcast with specific techniques John implements on his own show … from what equipment to use, to his approach for sponsorships to how YOU can avoid John’s #1 mistake.